Stephen King is as synonymous to horror as Elvis is to Rock and Roll. 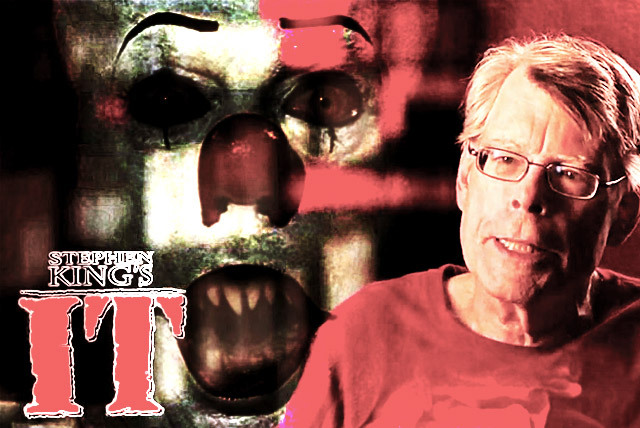 With over 50 novels, 235 writing credits and 58 feature film and television adaptations that span the genres of horror, drama, fantasy, crime thrillers, and science fiction, King is one of the most diverse and prolific writers ever. His body of work needs little introduction. 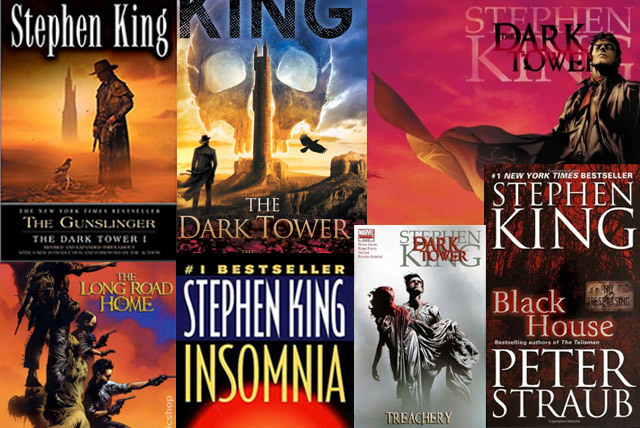 Beginning with the novel Carrie in 1974 and expanding to recent releases of The Dark Tower and IT, King has entertained readers and cinema fans alike for decades. 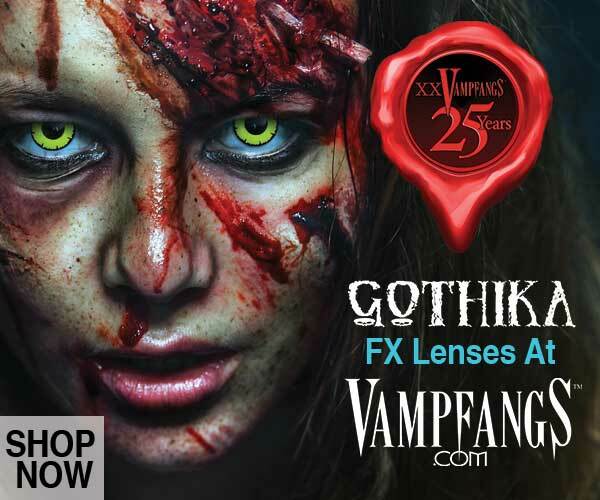 The Stephen King Universe on the other hand…well, that gets a bit more complicated. If you’re even a casual King fan, you’ve probably already noticed his frequent use of Maine in his novels. As a native of Portland, Maine, King tends to center most of his attention on his home state, albeit in various fictional towns. If you’re a bit more advanced in your fanaticism, you’ve probably noticed some of those fictional towns overlap. Derry, Maine is not only home to the world’s worst birthday entertainment, Pennywise the Dancing Clown, but also claims Misery‘s tortured novelist Paul Sheldon. If that weren’t enough, the town plays host to an alien invasion in Dreamcatcher and is the setting of King’s time-traveling sci-fi thriller, 11/22/63. But Derry isn’t the only location pertinent to 11/22/63. Also mentioned in the novel? Shawshank Prison. That’s right, Morgan Freeman, Rita Hayworth…that Shawshank Prison. Okay, okay, so that’s two locations over a handful of novels and movies. Maybe King just likes Derry? Maybe he just threw the Shawshank label in there because he didn’t feel like Googling a prison name generator. Which, by the way totally exists. We got “Frozen Time Medium Security Prison” which… completely makes the case for just re-using Shawshank. By the way, did you know that Shawshank was filmed at the very real Ohio State Reformatory? The real Shawshank prison isn’t the only King local that you can visit. 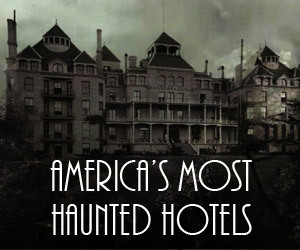 Next time you go on vacation, why not spend a night at The Stanley Hotel, The Timberline Lodge, The Ahwahnee Hotel, or The Mohonk Hotel? 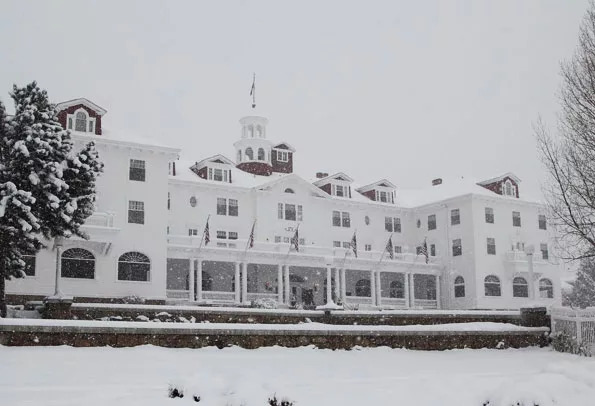 All of these hotels hold great significance to King’s masterpiece, The Shining. Speaking of The Shining, get ready for the Shining 2, AKA Doctor Sleep, to hit theaters in 2019. But I digress, the point is: No, King wasn’t just being remiss when he reused those locations. In fact, those stories are just a tiny segment of an elaborate, sprawling, very intentional Stephen King universe. This universe is so intricately connected that fans have even made flowcharts and graphics in order to make sense of it all. MASSIVE, right? But that’s not all. In fact, to understand those charts you have to go back even further. Back to the beginning. Not just with King’s first novel Carrie, either. Back to the real beginning of the whole. entire. universe. If those flowcharts overwhelmed you, then let us help. If they intrigued you, stick around anyway, you’ll enjoy this too. Just like every good story needs a beginning, it kind of goes without saying that 54 interconnected stories are going to need a super beginning. And that’s where Prim comes in. From Prim arose Gan and the Six Beams. Gan is a godlike creator being who spun the physical universe from his naval, everything that exists including a structure called The Dark Tower. The Dark Tower acts as the physical embodiment of Gan and is the structure referenced in King’s self-proclaimed magnum opus, The Dark Tower series. The Dark Tower connects to the Six Beams mentioned above, which are guarded by 12 totem guardians. The Dark Tower and Six Beams are literally the framework for the entire space/time continuum. But wait, we’re literally just getting started. So The Dark Tower exists in a place called “All-world” which is a parallel universe to our own. All World is made up of 3 regions, “In World”, “Mid World” and “End World”. It’s home to Roland Deschain, the Gunslinger from the Dark Tower series and one of a long line of peacekeepers that patrol All World. But that’s a discussion for later on. Before we get too far into character introductions, we should probably go ahead and introduce you to the various worlds that make up the physical Stephen King Universe. We’ve already mentioned the significance of All World, but All World is also the parallel reality to our own territory, Keystone Earth. Keystone Earth is where you and I and yes, the architect behind all of this – Stephen King himself, resides. Then you have the Territories, which are another parallel reality, home to Jack Sawyer from The Talisman and “twinners”, parallel individuals to all of us on Keystone Earth. There are also two unnamed universes linked to Tak, a demonic entity that appears in both The Regulators and Desperation. There also exists a string of connected micro-universes that can all be heaped together as simply UR, which is also the title of Stephen King’s Amazon Kindle exclusive, UR. UR is made up of the following: UR 17000, UR 88416, UR 117586, UR 100000, UR 2171753, UR 4121989, UR 6201949 and UR 7191974. The entirety of UR is only accessible through an artifact known as Lil Pink, which we’ll get into below. And who says the universe needs to be physical? Enter Boo’ya Moon. Boo’ya Moon is the dream world featured in King’s novel Lisey’s Story. And what exists between all of these universes? Well, obviously Todash. Todash is a nasty little area of space that is populated exclusively with monsters. It acts as the limbo between all of the above-mentioned worlds and it is a place you definitely do NOT want to get stuck in. 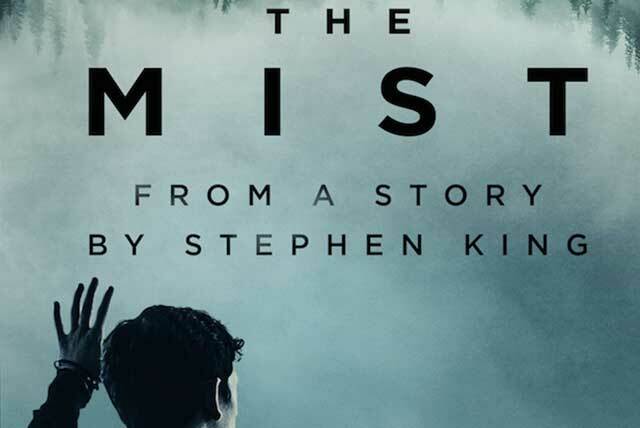 Remember The Mist? Well, Todash is where all those writhing tentacles and spiders with human teeth live permanently. Seriously, it’s not the place you want to be. If you’re going to create a reality with hundreds of overlapping and interacting universes and characters, you’re going to need to give them a way to interact. Enter, Stephen King’s artifacts. The first and probably most important artifact is Maerlyn’s Rainbow. Maerlyn’s Rainbow is actually thirteen colored spheres. Twelve spheres representing the guardians of the beams, and one sphere, called “Black Thirteen” which represents the dark tower itself. Maerlyn’s Rainbow was actually created as a trojan horse, gifted by a sorcerer named Maerlyn to Arthur Eld (who we’ll get to in a minute) at the beginning of his rise to power. Each of the colored orbs contains a set of demons that aid Maerlyn in bringing chaos to the worlds. The orbs are indestructible and despite being cursed to bring despair upon those who wield them, they are sought after for their powers; telepathy, levitation, the ability to see into the future and of course, the ability to travel between universes. Another artifact is the aforementioned Talisman, a crystal sphere, from the novel of the same name. And last but not least, the adorably named Lil Pink. Featured in Kindle exclusive novella UR, Lil Pink is the name of a pink cased, Amazon Kindle e-reader owned by Wesley Smith after a shipment error landed the item in his possession. Through the device, the reader gains access to over ten million alternate realities, or “Urs”. Now that you know the universes and how to travel to them, it’s time to learn some key terms and players. The Red – AKA: The Outer Dark. Basically everything evil. The leader of the Red is a character called Crimson King. He has some major beef with Gan and subsequently The White. The inhabitants of the Red are hellbent on the destruction of the Dark Tower and its beams. The White – The opposite of The Red and basically consists of everything good. The White represents unity, wholeness, and health. Its inhabitants are allied together to protect the Dark Tower and the beams. Crimson King – Mentioned before, the Crimson King is the product of a love affair between Arthur Eld (see below) and a demon from the Prim called the Crimson Queen. He’s a really, really bad dude. How bad? Well, his end goal is to destroy the entire space-time continuum just so he can live in “primordial chaos”. 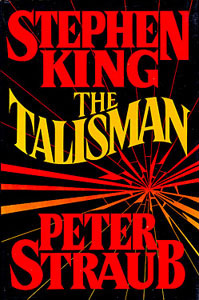 Crimson King has had multiple appearances or mentions in works like The Gunslinger, Insomnia, Black House, Dark Tower, The Long Road Home, Treachery, The Gunslinger Born and Low Men in Yellow Coats. Arthur Eld – King Arthur. No, really. That King Arthur. Also referred to as “Ancient King of All world” and the “Warrior of The White.” And as if being King Arthur in one universe isn’t enough, he’s also a member of the familial line of Deschains, of which “gunslinger” Roland is a descendant. In fact, the infamous Excalibur was melted down just to make Roland’s guns. Roland Deschain – Peacekeeper and Mid World’s last gunslinger who works to protect the Dark Tower and All World from destruction. In pursuit of “The Man in Black” throughout the Dark Tower series. The Man In Black – AKA: Randall Flagg, AKA Richard Fry, AKA about a thousand other names with the initials R.F. but for clarity’s sake we’re going with Randall. Randall Flagg is a sorcerer and servant of The Red. He typically leaves destruction and chaos in his wake and has been featured in nine of King’s novels. You’ve seen him in The Stand, Eyes of the Dragon, Hearts in Atlantis, The Dark Tower series and Gwendy’s Button Box. 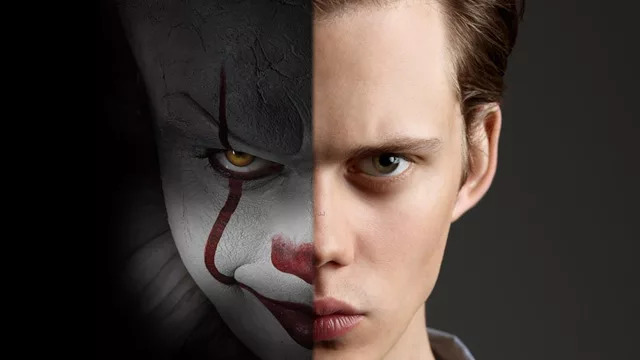 IT – We know, we know – everyone already knows about Pennywise, the wisecracking clown of our nightmares. But Pennywise the Dancing Clown was only one physical manifestation of IT. IT is actually a terrifying, human eating, shape-shifting entity from the Prim. IT is millions of years old with no discernible gender or identity, hence the term “IT”. The Shop – A spooky, Illuminati-like, government entity directly responsible for Charlie Mcgee’s pyrokinesis in Firestarter, cleanup and investigation of the events in Tommyknockers, briefly mentioned in The Stand and alluded to as the entity responsible for the Arrowhead Project in The Mist. And last but not least, Stephen King. That’s right! Stephen King is actually a character in his own novels. As we mentioned, Keystone Earth is the home of King, but stick with us because it’s about to get meta. 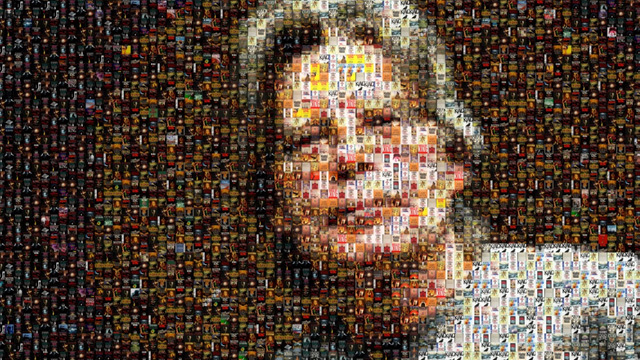 Stephen King doesn’t just write for our entertainment, no, we owe him a lot more than that. King writes to prevent the downfall of our entire universe. You see, Roland Deschain can’t save the Dark Tower or the beams on All World if he doesn’t have someone writing him that way, so King was handpicked by Gan to be the facilitator for Roland and his adventures. If King doesn’t write, Roland can’t act, and if Roland can’t act then goodbye Gan and goodbye world as we’re all flung into chaos. So there you have it! You’ve officially covered the basics of the Stephen King Universe. 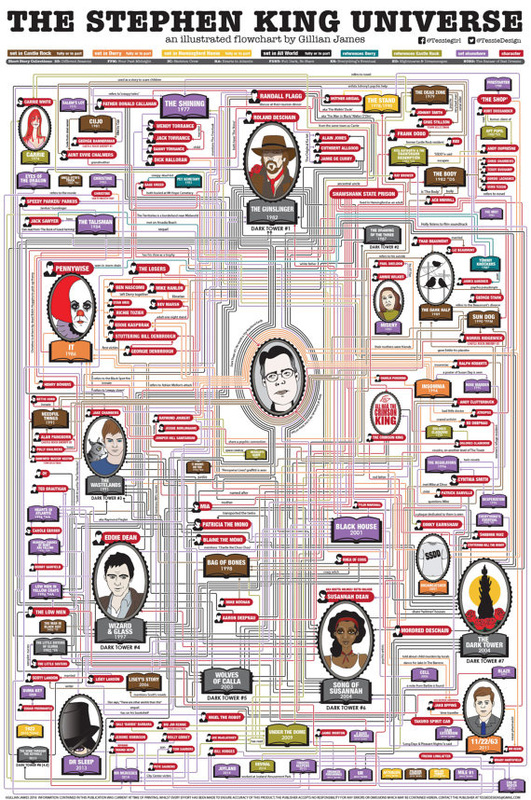 Basically, to sum it all up Stephen King is the protector of the universe, IT isn’t just a clown and those flowcharts hopefully make a lot more sense to you now. 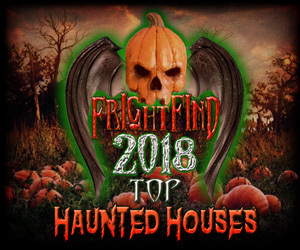 If you still haven’t got your fill of the King-dom, hold tight, 2018 is shaping up to be a pretty good year for King and his fans and in the meantime, let us know in the comments below your favorite Stephen King connections!